CEDAR CITY — When asked to picture a hungry or starving child, many people imagine a naked child in Africa, not their next door neighbor. However, in the Iron County School District, approximately half of enrolled students qualify for free or reduced lunches. Paula Loveland, Iron County School District child nutrition specialist, said a “very high percentage” of students in low-income families in the area receive these meals as the the only meal that they have each day. Monday through Friday, volunteers from Southern Utah University, Community Presbyterian Church and Americorps VISTA prepare and serve free lunch to children under 18 in Cedar City and Enoch. Adults may also buy a lunch at a reduced rate. The Summer Lunch Program will run through mid-August. The USDA Summer Food Service Program has existed since the 1960s. However, Cedar City did not participate until six years ago when the nonprofit organization Utahns Against Hunger approached the Community Presbyterian Church, at which point the church partnered with Southern Utah University to provide the program. Rebekah Schaff, an Americorps VISTA volunteer, said in a press release that she is excited to be part of the local Summer Lunch Program. “Through this program we get to help feed children, meet community members, and promote healthy activities,” Schaff said. While the USDA Summer Food Service Program plans to serve more than 200 million free meals to children across the country, it has just as significant of an impact in Iron County. 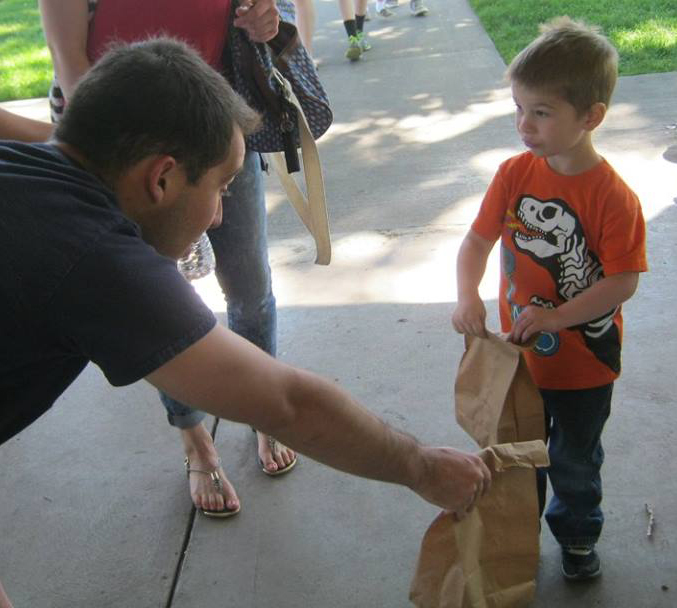 Approximately 350 lunches are distributed daily in Cedar City and Enoch. Gavin Glover is a Southern Utah University student preparing for medical school by participating in the “Rural Health Scholars” program. He volunteers his time preparing and serving the lunches and said he also values the opportunity to be a part of the Summer Lunch Program. A seventh-grade boy who asked his name not be shared gratefully ate his lunch and shared his story. His parents expressed their gratitude for the program. Cedar City Main Street Park | 303 N 100 East | 11:30 a.m.-12:30 p.m.
Enoch Liberty Park | 27 W. Midvalley Road | noon-1 p.m.
Enoch Garden Park | 646 E. Blue Sky Drive | noon-1 p.m. Lunch items so far this summer have included turkey sandwiches, bean and cheese burritos, chef salads, turkey wraps and tuna sandwiches, along with a fruit/vegetable item and milk. The program’s Facebook page provides updated menu items.